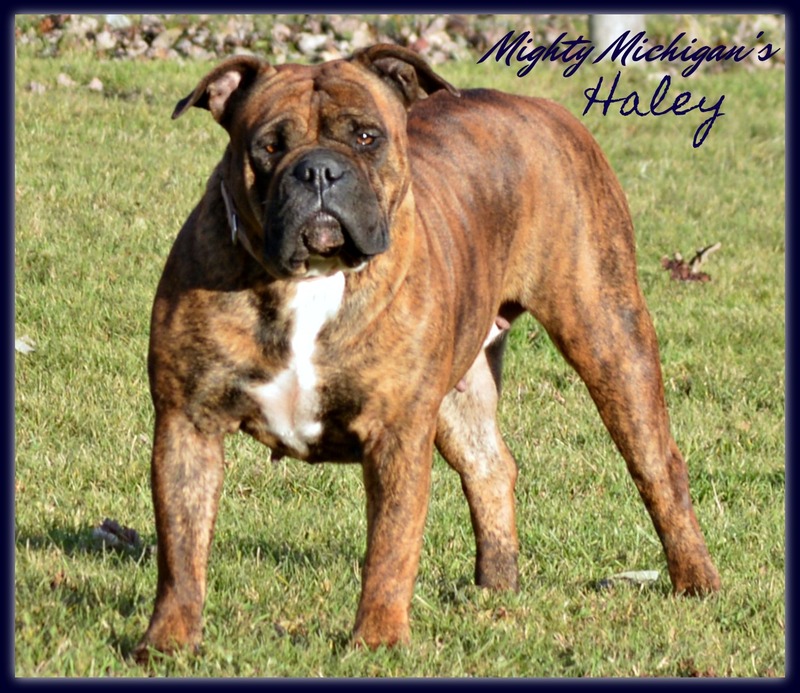 Haley is a Blue-Ribbon second generation Mighty Michigan Bulldogge. She is out of our retired girl, Mercedes, and our boy, Harley. She is a beautiful brindle with an extraordinary pedigree and perfect conformation. She is playful with a wonderful disposition and has a lot of her daddy in her. We are grateful to have produced her and look forward to what she will do for us in 2018!